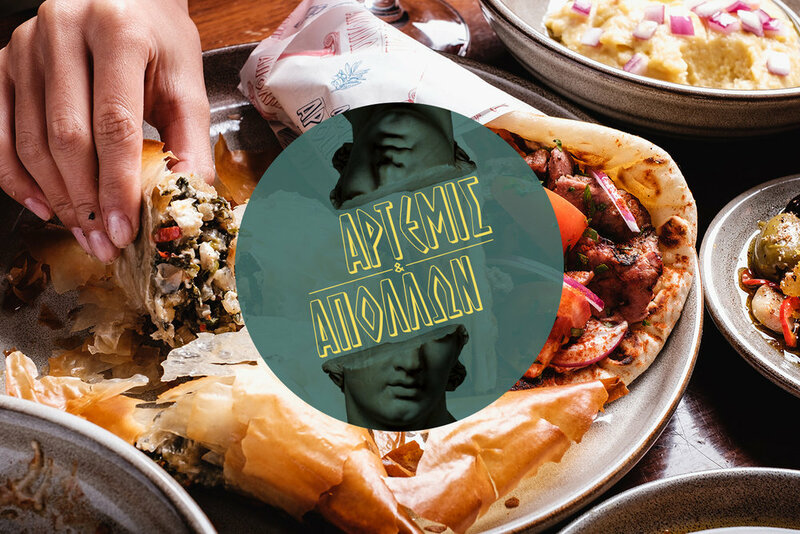 A GREEK TAVERNA FOR THE PEOPLE. 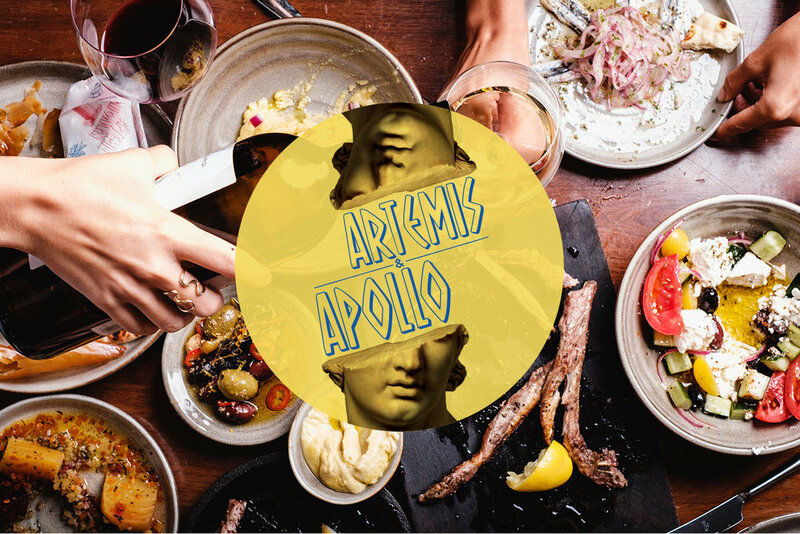 Artemis & Apollo is a traditional Greek taverna that celebrates the inherent simplicity of Greek cooking in the spirit of the tavernas of old where long, relaxed lunches and dinners shared with friends would stretch into convivial, ouzo-fuelled evenings. 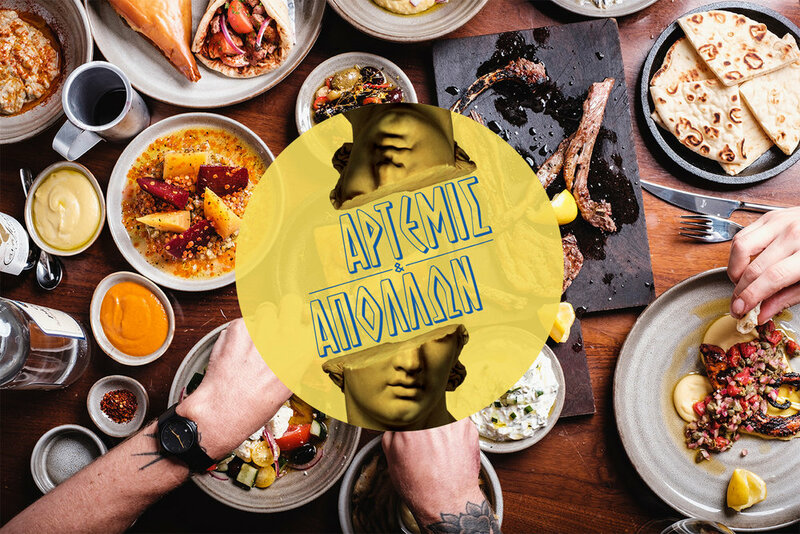 the pleasing unfussiness of Greek cooking is celebrated with a menu inspired by the classic taverna and dishes are designed to be shared family-style. It is accompanied by a wine-list celebrating forgotten wines from the motherland of viticulture while ouzo is the digestif of choice. Bright produce -olive oil, honey, Bread & winE- have been essentials of Greek cooking since the beginnings of Western civilisation. The larder is a collection of Greek elements sourced from independent, regional producers available to taste and buy. We do not take reservations, but we welcome walk-ins.